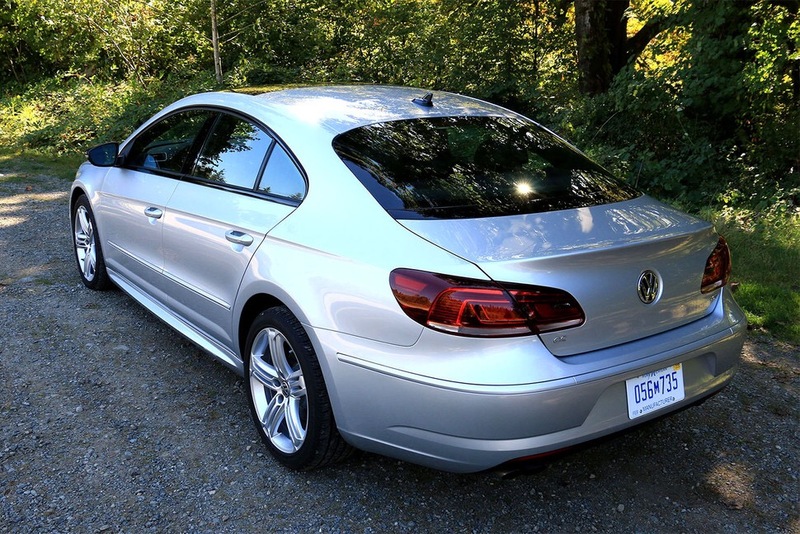 Since its debut at the 2008 North American International Auto Show, the CC has sought to offer buyers the visual appeal of a “four door coupe” – VW’s words, not ours – along with a more compelling driving experience than that of the more utilitarian Passat. As such, it’s positioned as a more premium vehicle than its sedate stable mate, which means it includes uprated content as standard. 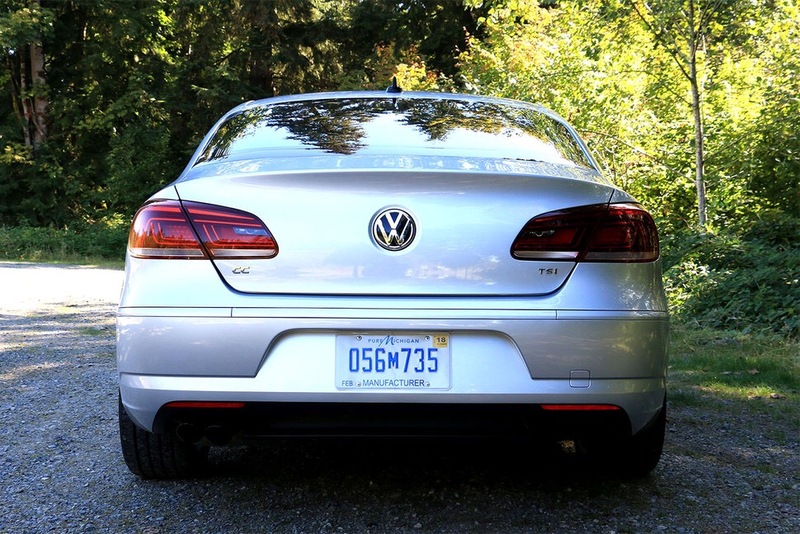 But with the Passat’s recent updates, the content disparity between the two models is less compelling at the moment. Additionally, an all-new CC is expected to arrive next year, so the case for the current model is perhaps more effective from an emotional standpoint rather than a pragmatic one. Although the current CC has never taken the market by storm, it’s not lacking a certain amount of charm either. 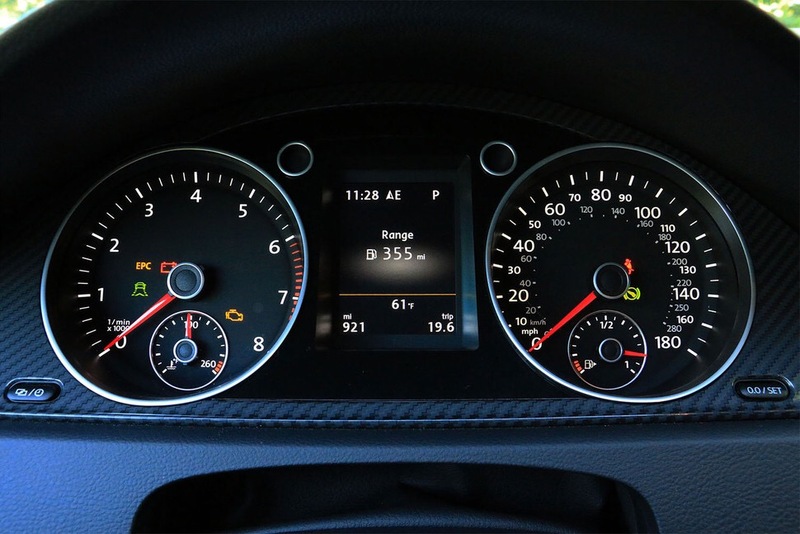 While the model is starting to show its age, much-needed updates like Volkswagen’s vastly improved MIB II infotainment system do breathe some new life into this still-stylish sedan. 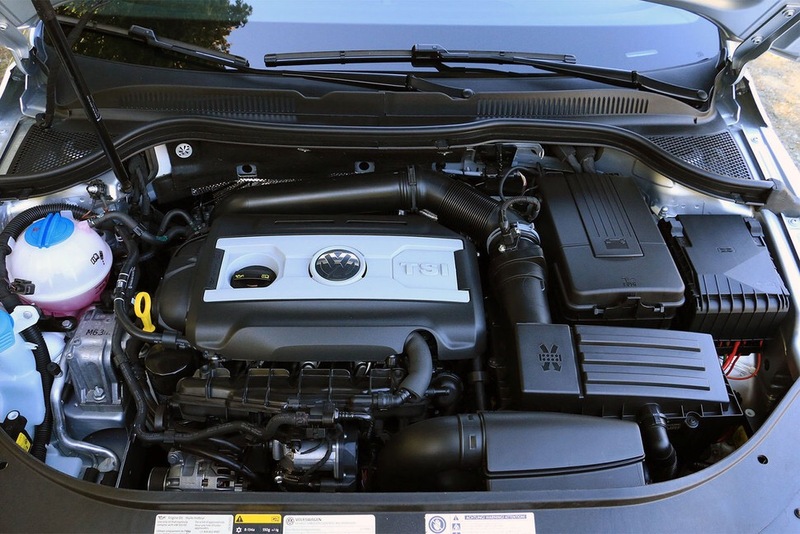 Our R-Line tester was equipped with Volkswagen’s nearly ubiquitous turbocharged 2.0-liter inline four cylinder motor, which develops 200 horsepower and 207 pound-feet of torque. With almost 3,400 pounds to lug around, you’d be right to expect this CC to be a bit of a dog off the line (the larger, 276 horsepower V6 has been removed from the lineup for 2017), but the 2.0-liter continues to offer more urgency than its numbers would suggest. 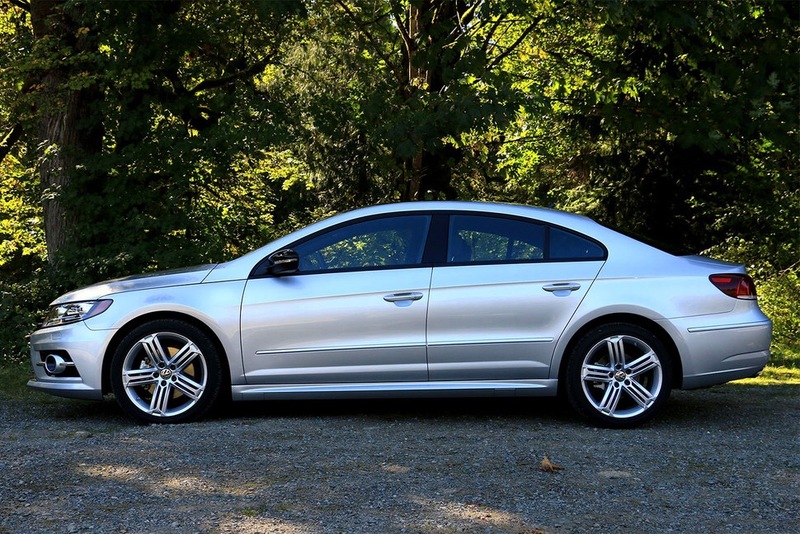 Hooked to VW’s optional DSG automatic with paddle shifters, the CC gets up to 60 mph from rest in 6.5 seconds. While not entirely thrilling performance by current standards, it’s more than enough to keep things interesting, and the DSG’s ability to fire off quick shifts bolsters the overall level of entertainment behind the wheel, despite the fact that the CC offers no driving mode settings whatsoever. Although the current CC has never taken the market by storm, it’s not lacking a certain amount of charm either. The CC’s suspension tuning follows the mission of the drive train in similar fashion. 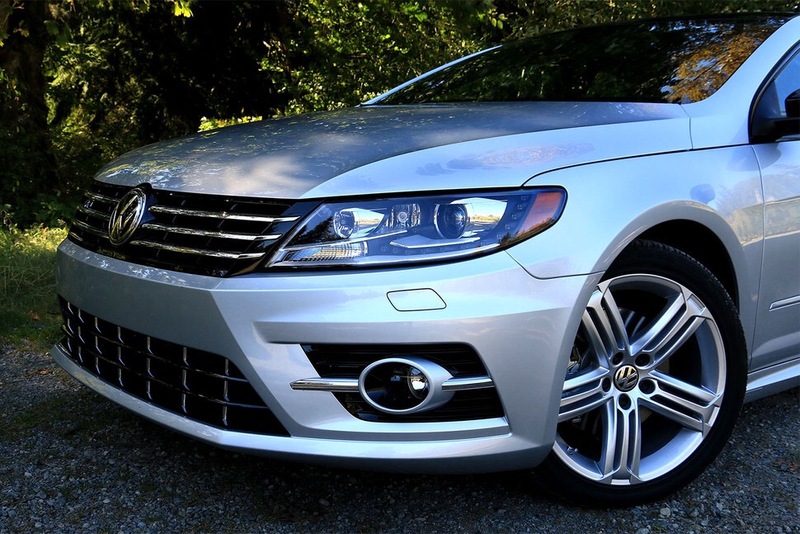 Athletic handling has become a hallmark of Volkswagen vehicles, and the CC does not betray that expectation. 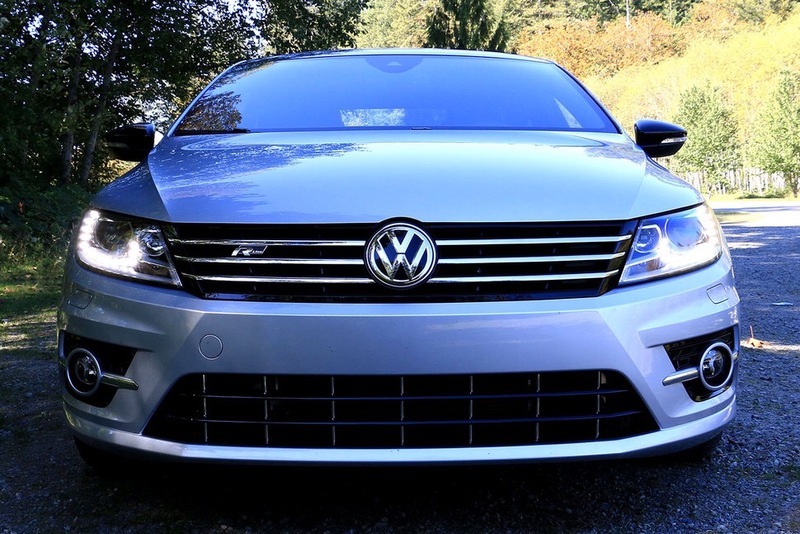 As the CC is equipped with static dampers rather than adjustable ones, VW has wisely chosen to prioritize compliance over flat cornering. Yet the CC still feels relatively taut from behind the wheel, and willing to charge down a winding road with some verve when asked to do so. 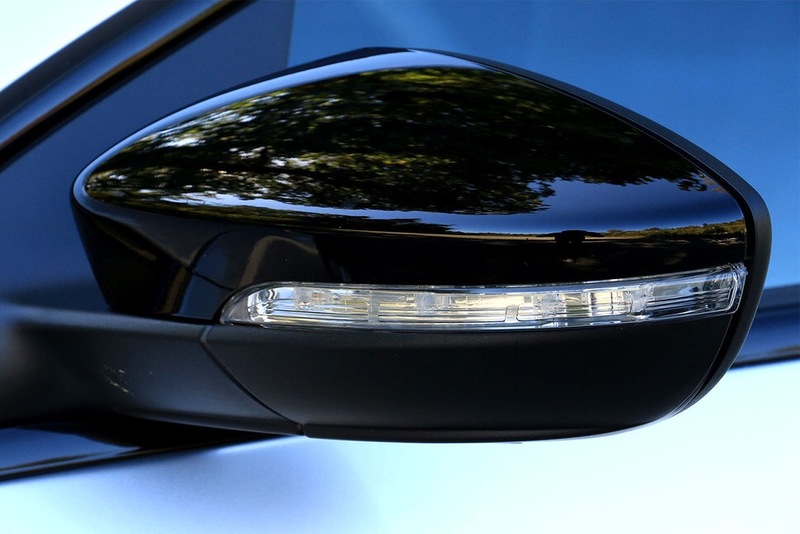 Although its overall exterior design hasn’t strayed far from that of the debut model from 2008, the CC still remains a handsome sedan nonetheless. The R-Line trim serves to ratchet up the sporty vibe with a set of 18-inch alloy wheels, a more aggressive front fascia, and more pronounced side sills. 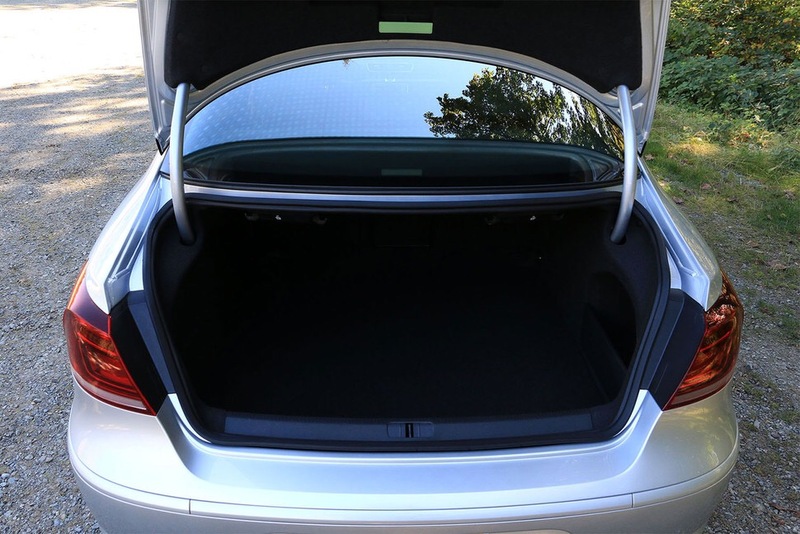 Referring to the CC has a four-door coupe may be a bridge too far for some, but it does allow Volkswagen to justify the reduced rear headroom and cargo space that’s inherent to the CC’s fastback-style design to some degree. It’s by no means claustrophobic inside though, but the presentation is a bit dour for a vehicle that’s positioned to go head-to-head with the likes of the new Infiniti Q50 and Acura TLX. 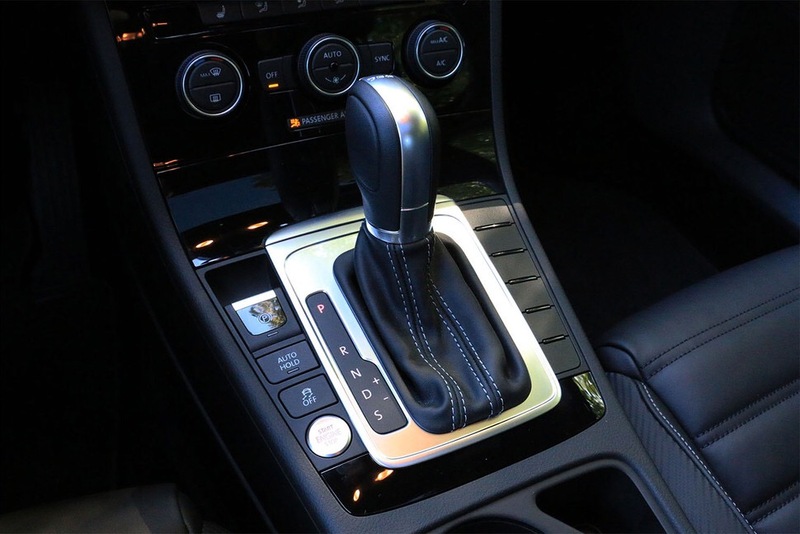 Blame it on the commonality of interior components with lower rung models like the Jetta and aforementioned Passat, along with the prospect that more substantial revisions are being reserved for the upcoming all-new model. 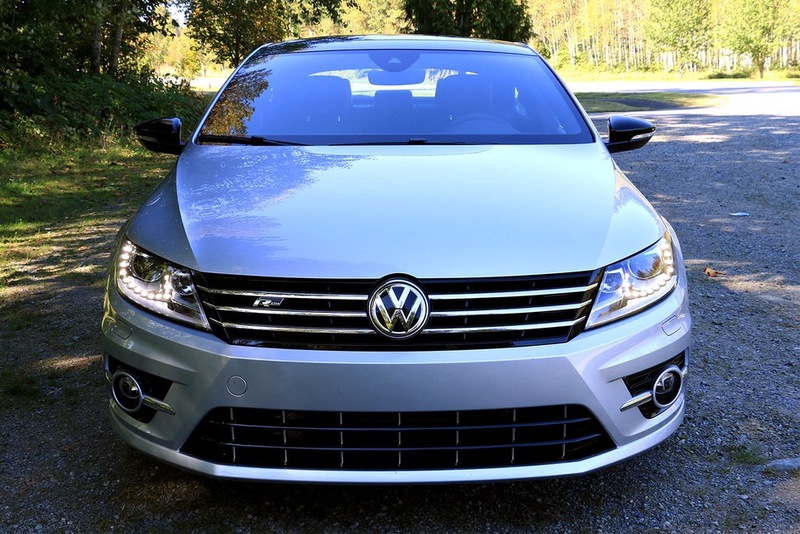 The saving grace here is the inclusion of the MIB II infotainment system, which improves by leaps and bounds over the first-generation system, and brings with it all the requisite functionality now found throughout the Volkswagen lineup, including Apple CarPlay, Android Auto, and Mirrorlink compatibility, along with a host of additional features on offer through VW’s Car-Net system. Since its introduction, the CC has always been something of a heart-over-head proposition, as its competition throughout the years has typically offered a more substantial feature set for less coin. As such, the CC has been regularly outsold by its competition by wide margins, and it’s only logical to expect that trend to continue through the 2017 model year due to the fact that this year’s updates are largely incremental in nature. The CC feels relatively taut from behind the wheel, and willing to charge down a winding road with some verve when asked to do so. 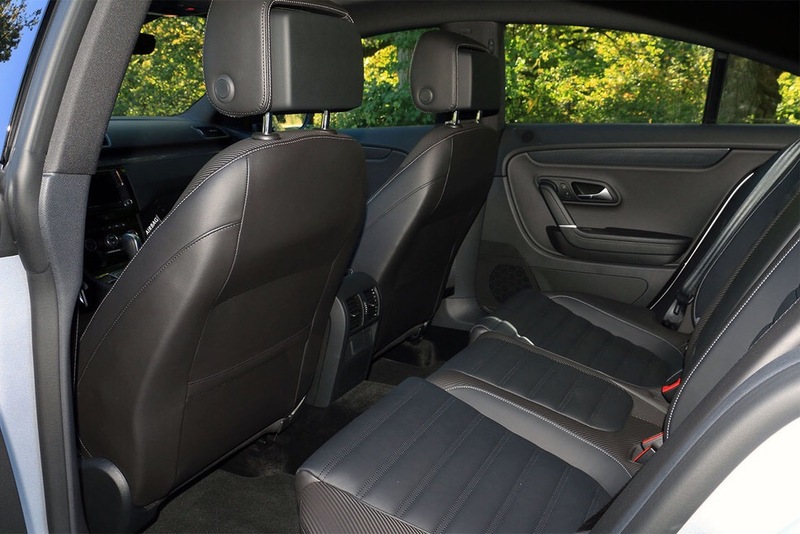 But sales numbers do not always reflect the quality of the vehicle in question, and Volkswagen loyalists will find a lot to like about the latest CC regardless of whether or not an all-new version is forthcoming. 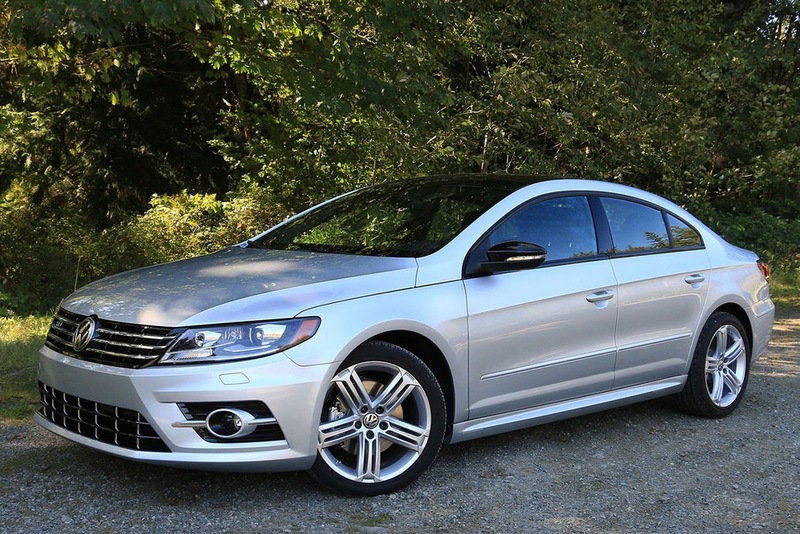 It’s still entertaining to drive and it retains all of the curb appeal that originally set it apart from the pack. 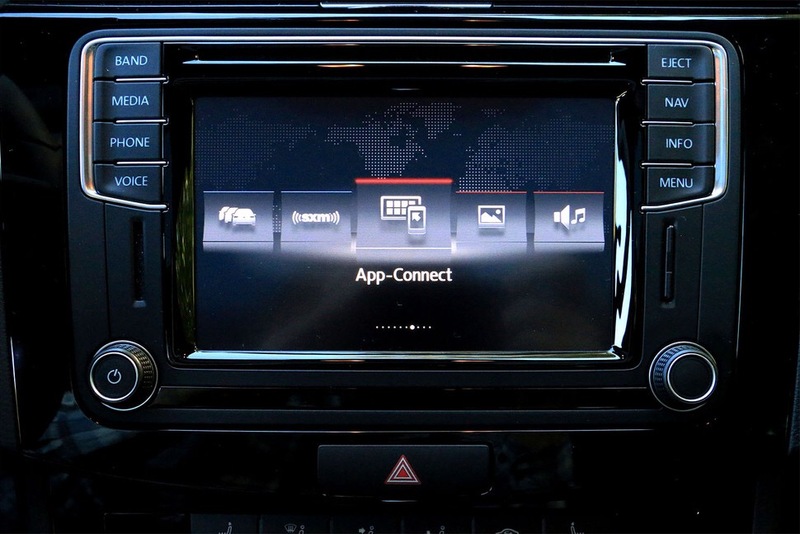 While aspects of the model are beginning to feel dated, the crucial element of a solid, modern infotainment system helps keep the CC afloat for another year. 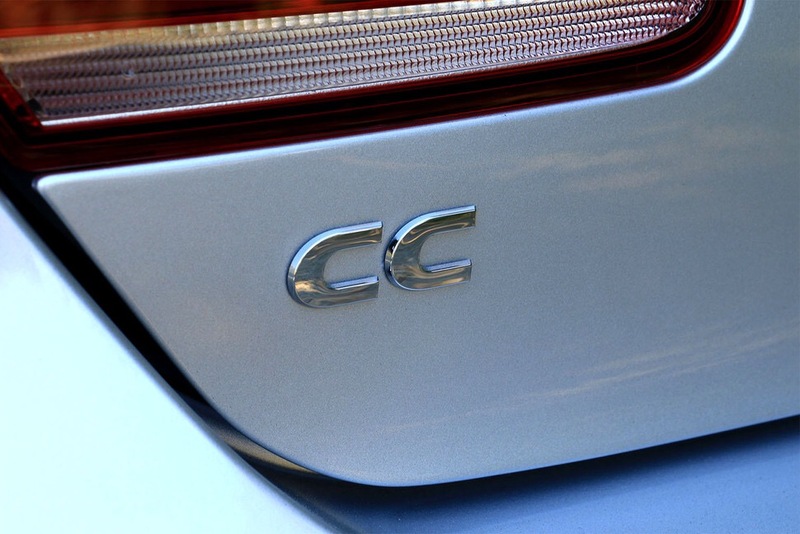 An all-new CC is expected to debut for the 2018 model year. It will ride on Volkswagen’s modular MQB platform and the vehicle’s overall length expected to expand to approximately 190 inches with a wheelbase of 119 inches versus the 189-inch length and 107-inch wheelbase of the current model, in turn yielding more cabin pace without a substantially larger overall footprint. Expect styling changes to be evolutionary rather than revolutionary, with interior updates following a similar approach. In the meantime, the 2017 CC has some future-proofing with the inclusion of a modern infotainment system and sharp contemporary looks, but whether that’s enough to keep this current model from feeling dated in a few years’ time remains to be seen.